The recipe I used is from Adventures in Bentomaking. I got the molds through eBay a few years ago. I also used wasabi fumi furikake, a Japanese rice seasoning consisting of seaweed, wasabi, and sesame seed. 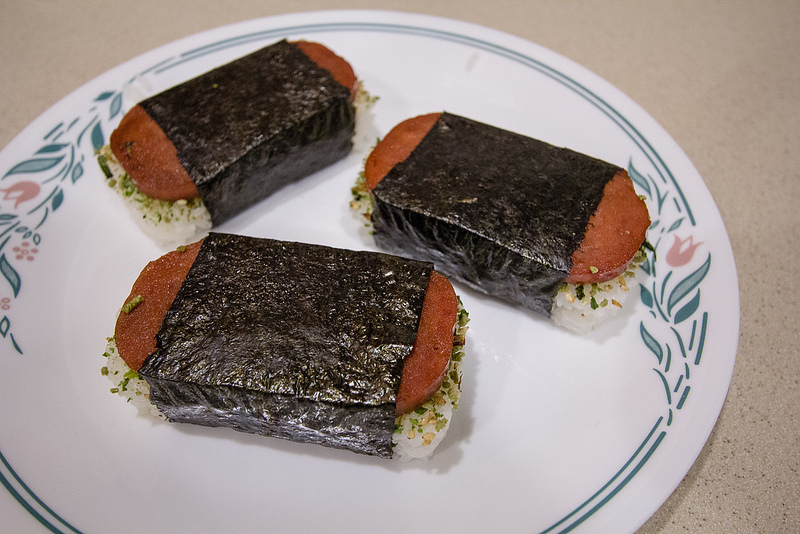 Instead of making 10 Spam musubis from one can of low sodium Spam, as stated in the recipe, I made 12 because I use less rice in each musubi than in the recipe. I dislike it when the Spam musubi is so thick that I can’t bite it! Thanks for the lesson. I wrote a blog post on it but my explanation was far more basic !